Hi everyone! It's Deasy here. 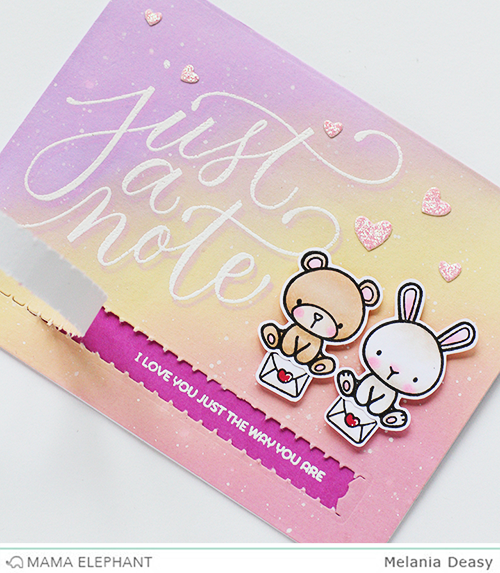 Today I want to share my card featuring Just A Note stamp set and Zipper Creative Cuts. It's so creative, fun and versatile! I stamp, coloring the images using copic then die cut it. 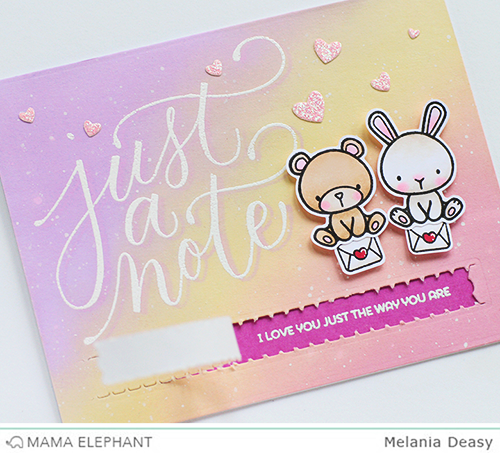 I stamp Just A Note sentiment with Versamark then add white embossing powder, coloring the background with Dye Ink and blending tool then splash white watercolor with my brush. For the embellishment, I add tiny hearts pink glitter die cut. What ink did you use for the background and what colors?? I absolutely love it! Adorable card! Love the colors and design, TFS!